By reducing oxidative stress, meditation may be able to protect against diabetes, heart disease, Alzheimer's disease, and help you live longer. Meditation and longevity feel like natural companions, don’t they? I strongly suspect this feeling might have something to do with the images of smiling, wrinkly little monks in bright robes you see meditating in documentaries about Tibet. 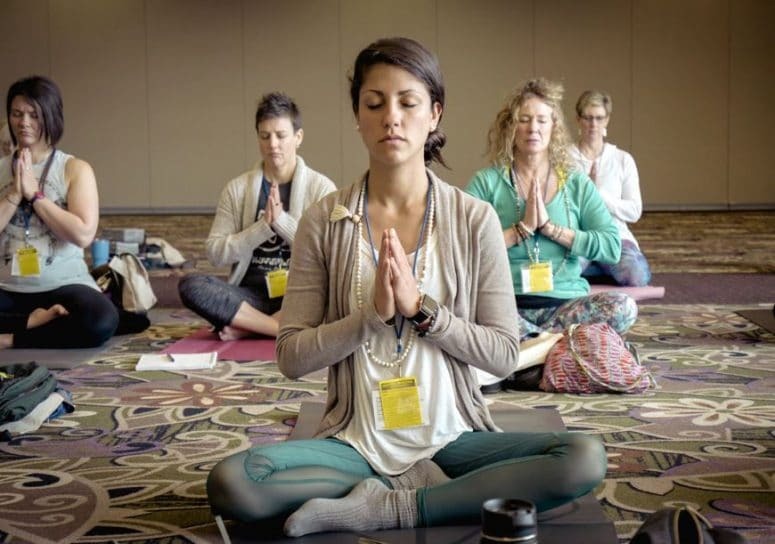 Their faces exude such a healthy, peaceful vibe that you can’t help but believe that meditation has to be one of the secrets to a healthy, long life. But just because something feels or is advertised to be true doesn’t necessarily mean it is. What you need is evidence — one way or the other. Luckily, science has recently started taking a real interest in the potential health effects of meditation. More and more studies on this ancient art are making their way into the scientific literature. And, interestingly, one area they are specifically investigating is the potential link between meditation and longevity. To understand what the research tells us about meditation, it’s helpful to have a basic understanding of what meditation is. This definition tells you little about exactly how meditation is done. But it does offer a great jumping off point for understanding the traits meditation has to have. motivated by a desire to better control thoughts, emotions or physical sensations. In reality, there are probably as many types of meditation as there are people who meditate! But there are definitely some patterns to the underlying principles of how most people practice. These patterns allow meditation techniques to be classified, roughly, into three broad categories. In Open-Monitoring forms of meditation, you try to relax your mind and observe all the thoughts, emotions and sensations that arise during your meditation. The goal is to truly experience, in detail, as much as possible and to do so without any judgment about whether the experience is “good” or “bad”. Finally, in Loving-Kindness meditations, you attempt to generate feelings of love, kindness, gratitude or other positive emotions in yourself or to imagine others experiencing these emotions. 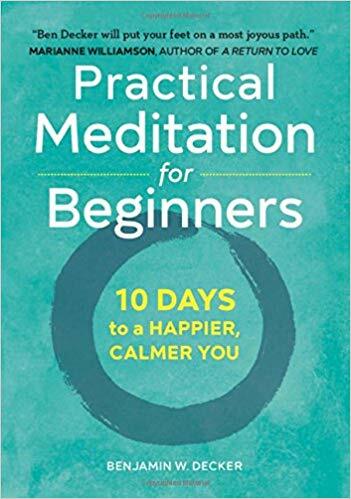 Okay, so meditation is a mental practice in which you focus your thoughts, experience sensations without judgment, or cultivate positive emotions. Seems pretty simple! But, honestly, not really like there should be any links with aging. After all, everything we just defined about meditation has to do with your thoughts. Meditation takes place exclusively in your head. Aging, on the other hand, happens everywhere in your body. Skin, eyes, bones, muscles, heart — everywhere! It doesn’t really make any logical sense that focusing your thoughts should change how quickly your skin wrinkles or how much your bones deteriorate. In fact, based on the way I was taught basic cellular biology and neurophysiology in my undergrad work just a decade ago or so (I’ll let you work out how old that could make me! ), I’d guess that we only have studies looking into mediation and aging at all because researchers were motivated to disprove any possibility of connections between the two and to put various religious and spiritual claims to rest. It turns out, though, that it is actually the “common sense” claim that hasn’t held up to scientific scrutiny. The data has fallen the other way. There is now a surprising, ever growing, body of evidence that meditation — an entirely mental practice — may be able to influence how your entire body ages, at the most fundamental level. Mediation’s ability to influence how you age seems to be wrapped up in its unexpected ability to reduce oxidative stress. 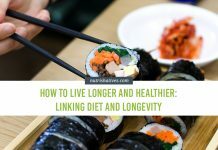 Oxidative stress, caused by a group of dangerous reactive molecules called “oxidants”, is now believed to be one of the main (if not the main) driving force of aging. The mechanisms linking oxidative stress to the signs and symptoms of aging are pretty complex (you can read more about them in my piece on Tools for Life-Long Wellness if you’re interested in the details), but basically oxidative stress causes damage to your cells. These damaged cells stop functioning properly. This causes your organs to stop functioning properly. And then your poorly functioning organs cause your whole body to stop functioning properly. That’s what you experience “aging”. So, how does meditation reduce oxidative stress, nipping this whole process in the bud? That is an excellent question, and one researchers are still working on answering completely. But, at the moment, it looks like the main mechanism lays in meditation’s ability to reduce psychological stress. Okay, I recognize that, at first glance, this doesn’t seem like an explanation at all. Psychological stress is also in your head, just like meditation! How does reducing stress explain changing levels of oxidative stress in your body when you meditate? It looks like I’ve dragged you full circle! But bear with me for a moment because researchers actually understand how psychological stress affects the function of organs and cells outside your brain. And these effects are very much linked to oxidative stress and, therefore, aging. How Does Psychological Stress Cause Oxidative Stress? When you’re in a state of psychological stress, it changes the function of your brain. That’s pretty obvious, right? Changes in brain signaling are how you know you’re stressed in the first place! It’s how you feel stressed! What is less obvious, though, is that some of those brain changes that come with stress cause an increase in the release of certain hormones (particularly one called cortisol) into your blood. Once in your blood, these hormones can travel to every inch of your body and, you guessed it, make oxidative stress worse. Much of this worsening of oxidative stress comes from the activating effects of the hormones on your immune system. 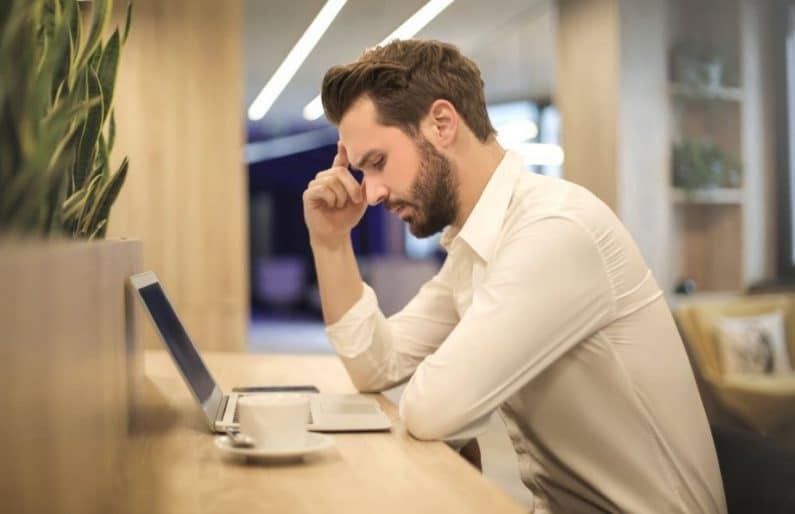 Evolutionarily, stress was a sign that you were in physical danger — at risk of being attacked, wounded or getting sick. So, your body evolved a built-in “immune system red alert” mode in response to stress. This activation of your immune system still happens today, even though your stress is coming from that huge presentation at work or the bills you need to pay that don’t actually put you in physical danger. Unfortunately, “red alert” mode for your immune system means it starts releasing a set of hormones and chemicals intended to help you fight off an infection. These hormones and chemicals are intended to damage bacterial cells but they can also damage human cells because they act as oxidants (i.e. drivers of oxidative stress). 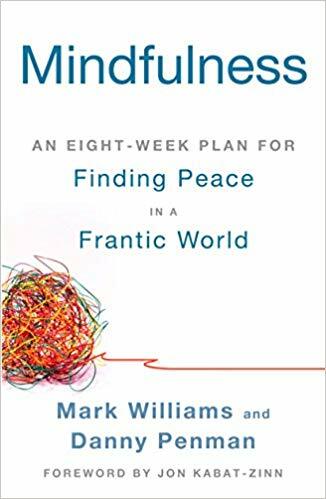 If the immune “red alert” mode is evolutionarily programmed to follow psychological stress, it will probably come as little surprise to you that the opposite mental state — relaxation — is programmed to have the opposite effect. Psychological relaxation causes the release of your stress hormones to stop. It also releases chemicals and hormones that trigger programs responsible for actively calming your immune system, mopping up oxidants from your body and repairing damage from oxidative stress in your cells and tissues. Okay, so how do we know that meditation offers enough psychological stress relief to actually activate “psychological relaxation pathways” and reduce oxidative stress? Scientists have put it to the test! Clearly, on a cellular and molecular level, meditation can have some powerful protective effects against oxidative stress and markers of aging! As neat as it is that meditation may protect cells from oxidative damage, what you really want in an anti-aging tool is something that can prevent the symptoms, especially the diseases, of aging. Diseases of aging are the common conditions you probably naturally associate with getting older, like cancer, high blood pressure, heart disease, diabetes, and dementia. These diseases can rob you of your health, wellbeing, and quality of life as you get older. 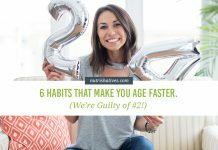 They are what most of us really want to put off as long as possible when we talk about “slowing aging”. Could meditation be a helpful tool for keeping these debilitating diseases at bay (or, at a bare minimum, better under control) as we get older? The science is starting to suggest that it just might. 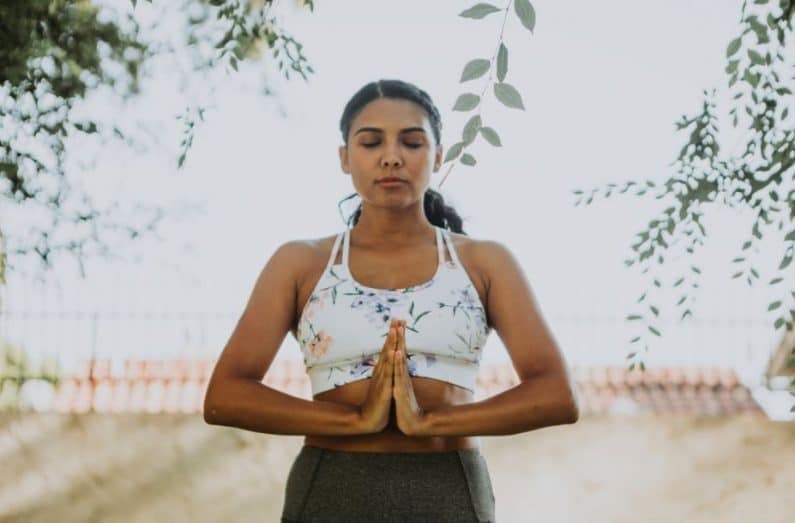 For example, a handful of studies have found that meditation improves blood sugar control in diabetics (presumably because poor glucose metabolism is highly linked to overactive immune system activity and inflammation). For those at risk for developing heart disease, there is evidence that meditation can improve blood pressure, reduce plaque buildup in arteries and reduce the risk of experiencing a heart attack by up to a whopping 48% over just five years. Most amazingly, perhaps, is the fact that studies suggest meditation may be able to reduce the risk of death from any disease by nearly half in older adults. As illogical as it seems at first glance, the science is clearly showing that meditation may, indeed, be an extremely useful anti-aging tool. Now, before you slide over to your comfiest throw-rug or squishy chair to get your “om” on, a couple words of caution about how far we can interpret this research. 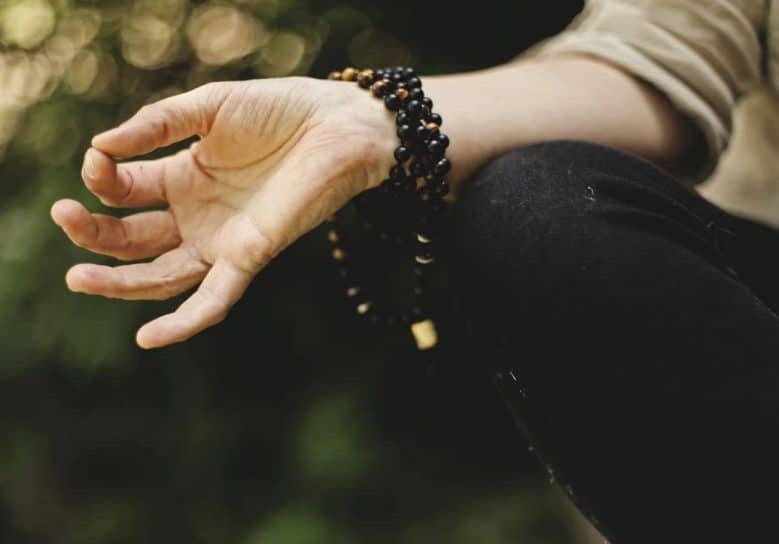 Researchers are still being careful about using the research we have so far to draw conclusions about the strength of the relationship between meditation and anti-aging effects. This research is still very new and we know so little about the mechanisms of meditation in the brain, itself, that it is really difficult to work out all the possible confounding factors and placebo effects that could be affecting the data. Additionally, like most new fields of study, there is a risk of publication bias in meditation research. Publication bias is a phenomenon where far more studies that show positive effects make it into scientific journals than studies that show negative effects. This effect in meditation research could cause us to overestimate how effective meditation is at quenching oxidative stress and diseases of aging. 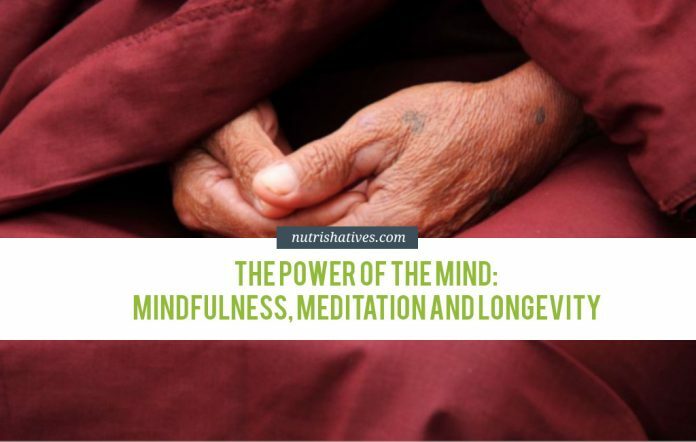 That being said, even if it turns out that the effects of meditation are less pronounced than they seem now, meditation is still a potentially powerful anti-aging tool. After all, meditation is free to do, it’s accessible to everyone, it’s simple to work into a healthy daily routine and it has no side effects. Even mild improvements in oxidative stress and aging would be totally worth that “trade-off”! Alright, so mediation may literally help you live longer and healthier! As I mentioned above, there isn’t a single answer to this question. How you meditate depends a lot on how you want to meditate. The health benefits appear to be essentially the same for all three types of meditation. Of course, this means the very first thing you’re going to want to do is decide which type of meditation you think will work best for you. To make that decision, you may want to do some more sleuthing online and explore the differences and nuances of the types of practices in a bit more detail than I was able to outline here. This article may offer you a useful jumping off point. Once you’ve decided which type of meditation to try, you have to organize your practice! When choosing a time to meditate, you want to make sure it’s a time during your day when you won’t be rushing away from your meditation for your next appointment. It needs to be a time you can really dedicate to focusing on your thoughts and the mental exercise you’ll be doing. It also needs to be a long enough time for you to complete the practice you want to. If you’ve never meditated before, you’ll probably want to start with a fairly short time, maybe just 5-10 minutes. If you know you get antsy, you could aim for even less, maybe 1-2 minutes. Based on the current research, you’ll probably want to eventually work your way up to about 20-30 minutes a day, though. Regular meditation sessions of that length show lots benefits in studies we have so far. Once you’re ready to start meditating, you’ll want to find a comfortable place free of distractions. No TV or radio running. No people talking in the background or running about. Try to be consistent about meditating for at least the first couple of weeks. This will help make it a habit! This is important because it seems that meditation has become a habit for you to reap the longevity benefits. If you stop meditating, the healthy changes to your hormone levels and oxidative stress levels appear to go back to baseline. 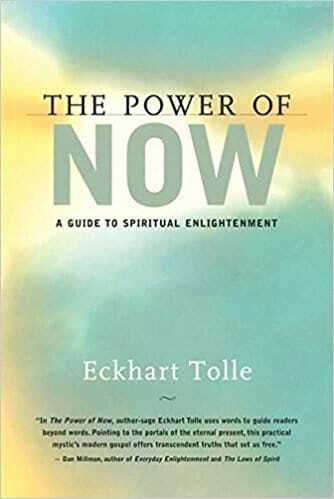 Unfortunately, I can’t offer a detailed, practical guide for every type of meditation, here! This blog post would turn into a book! But if you’re interested in mantra meditation, the type of meditation I think is probably the most accessible to new meditators, I can offer something slightly more concrete! Once you’ve worked out your time and place to practice mantra meditation, here’s how you actually get started! When you sit down to a mantra meditation session, the first thing you’ll need to do is decide on your mantra. You can, of course, always go for the traditional om. But, really, you can pick any word, phrase or sentence that feels right for you for the day. Typically, you’ll find that worries or insecurities offer good inspiration for mantras. For example, if you’ve been worried about money, you may find a mantra such as: “I have enough.” or “Money does not define me.” really speaks to you. If, on the other hand, you’ve been feeling stressed about work, a mantra such as: “I am grateful for my job” might feel more natural. Once you’ve chosen a mantra that feels right, you can start your timer and get started. Sit or lay in a position that is comfortable for you and close your eyes. Think your mantra, deliberately, in your head. It can be very helpful to tie the words of your mantra to your breath. So, for example, for the mantra “I have enough”, you could think “I have” while you breathe in, and “enough” as you breathe out. Try to focus on nothing but these words and keeping them lined up with your breath. Keep at it until your alarm or timer rings. Just notice the thought about bologna sandwiches was there, and draw your mind, gently, back to your mantra again. When you notice you’ve stopped saying your mantra and you’re thinking about something else entirely, take a deep breath. Draw your attention, again, gently back to your mantra. What’s really important here is to not get mad or frustrated when your mind wanders or other thoughts crop up. Just acknowledge that it happened and draw your mind back to your breath and your mantra. It’s also important to keep in mind that it is actually the quiet time between the words of your mantra (which, believe it or not, can eventually be completely free of thoughts) that you are trying to cultivate with this type of meditation. It’s not necessarily the mantra itself that’s helping calm your mind. 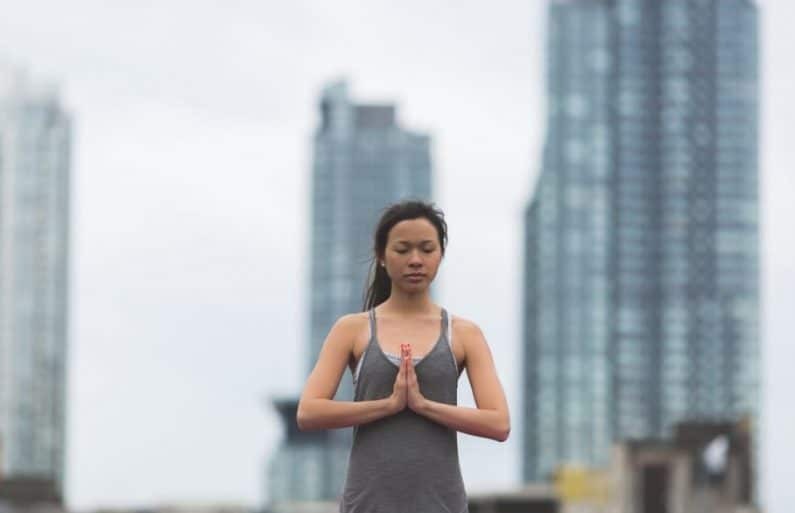 If this post has piqued your interest in meditation and you’d like to learn more, here are some excellent resources you may find helpful moving forward with your practice! 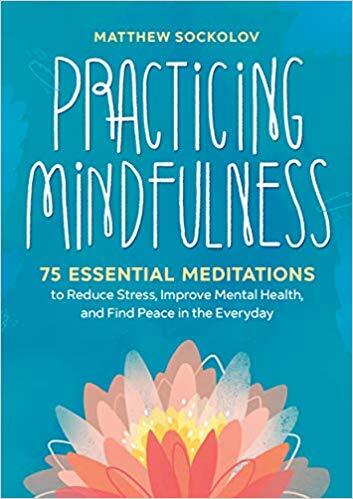 If you’d like a longer, more detailed guide to the practical ins and outs of meditating, here are some excellent books I recommend that can help you out! 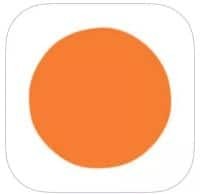 If you’d like to use your phone to access guided meditations and track your meditation practice and progress, there are a number of popular, practical apps that can help you out! 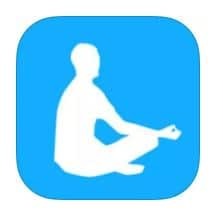 The Mindfulness App – Free trial, then $2.99-$9.99 per month depending on the features you want to use. Headspace – Free trial, then monthly ($9.99), annual ($70) or lifetime ($299.99) subscriptions. 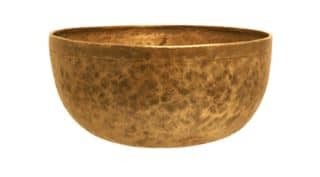 If you’d like to follow along with full-length meditation classes online or connect with a local meditation class to join in person, these websites are awesome places to start! People have long associated meditation with a long, healthy life. Only recently, however, has science been able to begin backing up these claims. New research suggests that meditating around 20-30 minutes a day can reduce psychological stress. This, in turn, can reduce oxidative stress, one of the driving factors of aging. By reducing oxidative stress, meditation may be able to protect against diabetes, heart disease, and Alzheimer’s disease, and help you live longer. When starting a meditation practice, be sure to research which type of meditation will work best for you! Make sure to find a calm time and place during your day for your meditation practice and be consistent.